This weekend Hotel Cassiopeia is playing at the Aquinas College Performing Arts Center in Grand Rapids. This play by Charles Mee is a fanciful portrait of Joseph Cornell, a self-taught artist classified as Surrealist, a moniker about which he expressed some ambivalence. The set is almost perfect, the costumes are wonderful, the acting is quite good, and the artist is portrayed in a manner that is generally sympathetic. That being said, I would recommend this performance if only for the staging, which is nearly stunning. The stage, designed by San Francisco-based scenic designer Robert Broadfoot, is dominated by a grid armature almost twelve feet high, and a large circular screen. Objects and characters move in and out of the thirteen compartments of this structure, which references the artist’s preferred assemblage format. Images and film are projected onto the suspended screen, and within the largest cavity of the box. Cassiopeia is not a biography, nor does it have a conventional narrative. A portrait of the artist is delivered through a series of overlapping vignettes that include dialog, music, projected images, excerpts from films, and a cast of twenty characters depicted by nine actors. A trio consisting of an herbalist, astronomer, and pharmacist, punctuate the production, functioning like the chorus of a Greek tragedy. Hotel Cassopeia effectively illustrates what Surrealist André Breton described as, “the marvelous quotidian”, those poignant experiences accessible in our daily existence, as opposed to those encountered in our dreaming lives. At any point in the production, there are at least six elements to the ever-changing composition created on stage. Starlets and flower-embellished ballerinas slip in and out of scenes scattered with absurd tea parties, awkward pauses, and curious discussions about the humble objects so treasured by the artist. Mee’s depiction of Cornell includes a lot of accurate biographical information, and is remarkably balanced. Mee understands that Cornell’s peculiar life was very much of his own making–were this not increasingly apparent over the course of the play, there is a late scene in which Arshile Gorky, in response to Cornell’s insipid complaints, sharply retorts with a list of his own very real misfortunes. Perhaps the only objectionable aspect of this production is that Cornell seems rather like a David Lynch character, he’s perpetually twitching, and oft-stunned. That being said, probably no one could portray Cornell in a manner that would suit the image I have sustained in my imagination, and it’s true that Joseph Cornell was a peculiar man. Hotel Cassiopeia, is directed by assistant professor of theater and playwright Randy Wyatt. 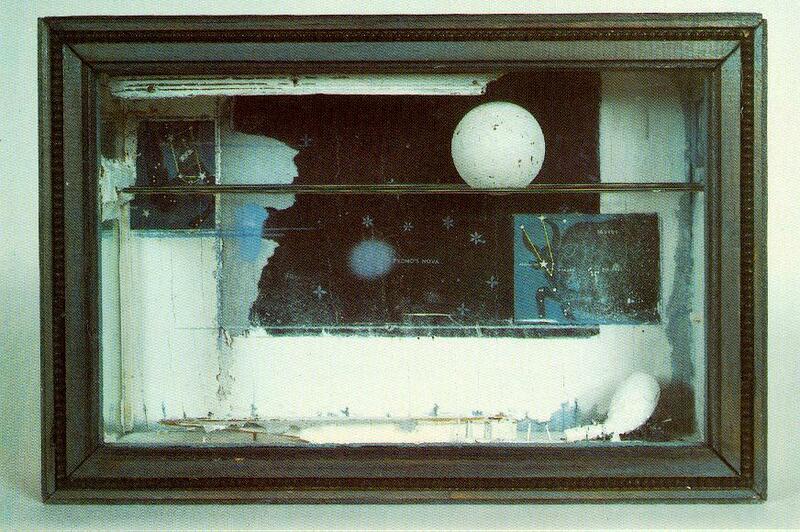 Kyle McCrumb performs the role of Joseph Cornell. The cast includes Christofer Skurka, Kiran Durae Lambert, Maria Purcey, Jason De Jager, Katie Glossop, Keli Bund, Dominic Ortega-Ferguson, Emily Blakowski, and Stephan Douglas Wright (who is one badass Arshile Gorky). Performances are April 18-21. Thursday, Friday, and Saturday performances start at 8PM, Sunday’s performance is at 2PM. Aquinas Performing Arts Center is located at 1607 Robinson Road S.E. Tickets are available for purchase before the performance at the box office (616) 632-1988.